In case you haven’t caught wind of it yet, Dreamworks Animation will release their new feature film Rise of the Guardians on November 21st. And already the character of the Easter Bunny — voiced by Hugh Jackman, and referred to in the story as Bunnymund — is turning quite a few heads in furry fandom. Now the tie-in merchandise is beginning to show up. First out the gate is a new full-color graphic novel from Ben Lichius and Marcelo Ferreira, Rise of the Guardians: The Hidden Truth and Other Stories. It goes like this: “North. Bunnymund. Sandman. Tooth Fairy. They are the make-believe characters that populate the imagination of children the world over. But young Jamie believes otherwise. They’re all real, and he’s been collecting the ‘evidence’ to prove it! When Jamie’s friend, Toby, comes over to spend the night, he finds Jamie’s ‘Weird Stuff’ scrapbook full of copious notes and samples about unexplained phenomenon, and the talk turns to Jamie’s stories of near-miss encounters. It soon becomes evident, however, that Toby has a pretty amazing story of his own to tell.” Ape Entertainment will release this new trade paperback on October 23rd, and you can pre-order a copy at Barnes & Noble. 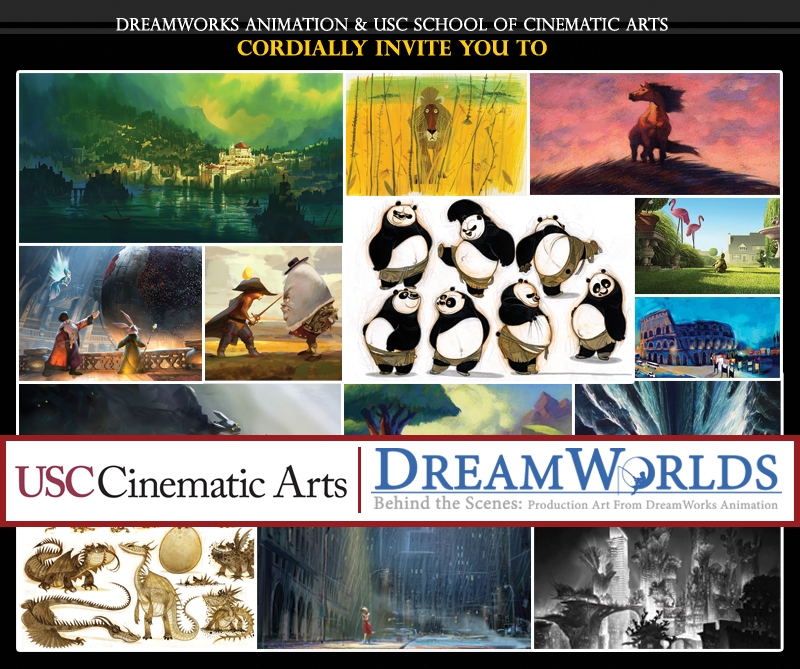 The Cartoon Brew website announces that the University of Southern California’s School of Cinematic Arts Gallery is presenting an exhibit, “DreamWorlds: Behind the Scenes, Production Art from DreamWorks Animation” from July 30 through September 7. 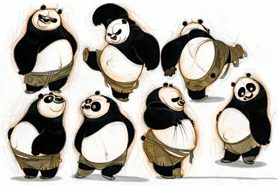 DreamWorks’ works include more than just anthropomorphic animals, of course (Prince of Egypt, anyone? ), but there has been SO MUCH anthropomorphization in its 24 features! The exhibition includes more than one hundred digital prints and approximately thirty traditional paintings and drawings on paper; two miniature sets; three character maquettes; two set pieces – an 8? high Kung Fu Panda “Po” statue and the new Rise of the Guardians standee; and three media stations displaying animation tests, stereo footage, and the Rise of the Guardians trailer. There will also be a contemporary animation work station on display, with demonstrations given by current Hench-DADA students. Bunnymund is back, in this second trailer for DreamWorks' CGI Rise of the Guardians. Also Jack Frost, who was conspicuously missing from the first trailer. Bunnymund is still the only one who makes this an anthro movie, but, oh, does he look good!